FWIW Alex I reckon that thesession two look as good if not better than the rest of the already excellent look ingredients group. Fantastic work on a project really well done. Ah, thanks mate, I’ll take your word for it :-) TBH, I’m just glad to have this lot done, and I’m looking forward to moving on to something very different! It must be the frustration speaking for you but from my pov, they look just as bosss honestly, the arm difference is weird at first sight indeed but then it help differentiate both guys which is better in my view. I’m a huge fan of the multi purpose aspect of those just like the FG band. They do look a little awkward but that’s why I like them. Big, bulky, awkward bastards! Great working Alex. I wouldn’t be so hard on them mate, they look good. Love how the huge hand looks like a catcher’s mitt. I’ve always found mummies don’t really fit in with the look of other undead (hence why GW split tomb kings and vampire counts I suppose) and applying an Egyptian aesthetic to 40k without ending up with something that looks like either Necrons or Thousand Sons isn’t easy so tying them in to the rest of the team rather than trying to make them too “mummyish” was a wise move IMO. Very nice; as others have said, I think the awkwardness works for them, and I would have thought you had done it on purpose if you hadn’t said otherwise. Great stuff! Blood Bowl mummies are always problematic visually, but by breaking away from the traditional look, there’s no problem at all in making your mummies heavy duty servitors. I think the big, bulky look was the correct decision. They actually work very well indeed – I love the asymmetry on the arms. 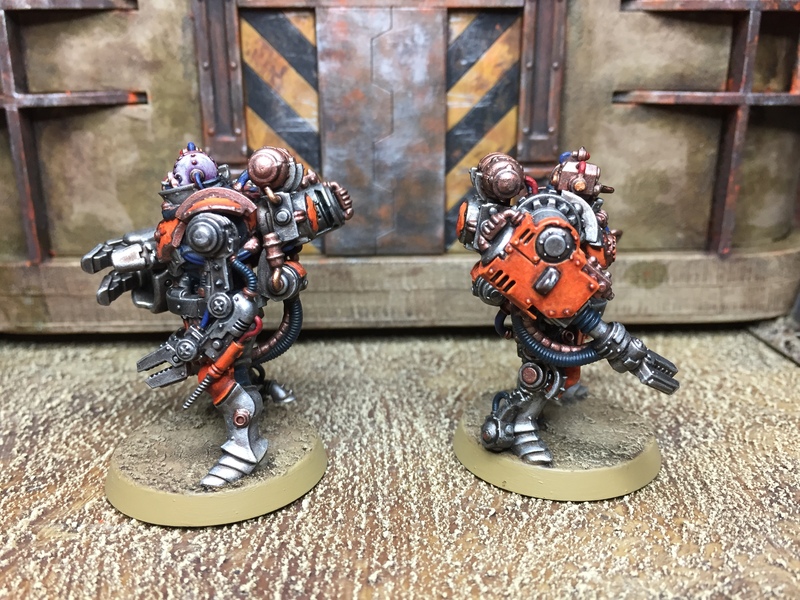 My only comment is that the lower halves look a little lacking in bulk and industrial design – if you ever do revisit them it might be worth taking a look at something like mega-armoured ork nobs for something a little less sculptural. 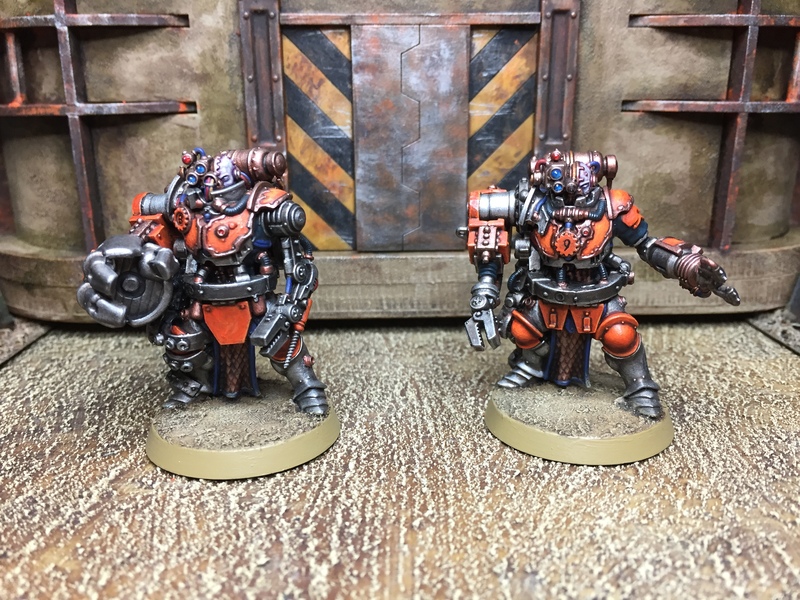 Thanks mate & steal away – they are certainly big enough to be Ogryns! I can only agree with the other guys: You shouldn’t be frustrated with these, as they are fantastic! 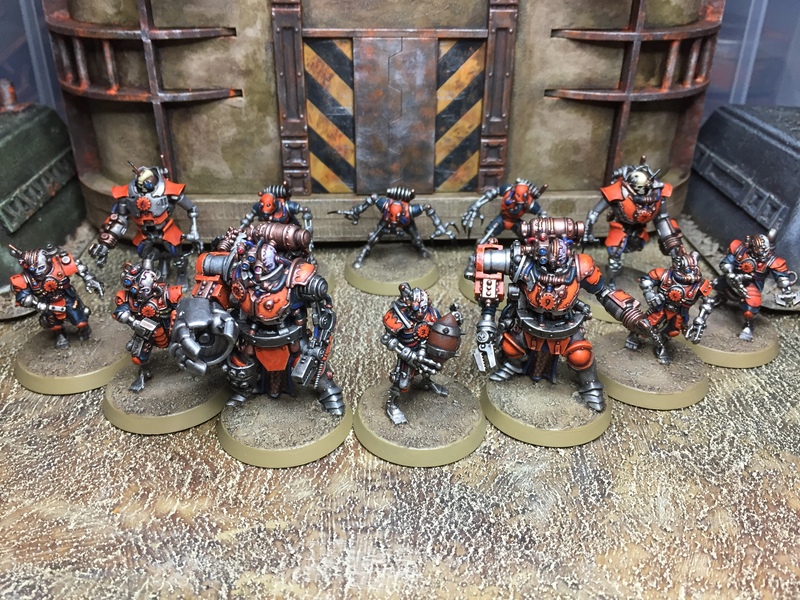 I especially like how they add to the concept of different sizes and model shapes across the team — speaking of which, the fact that these can work both as a Blood Bowl team and a Necromunda/Inquisimunda warband is rather brilliant. Using Stormcast Eternal legs for these guys is brilliant, though! Definitely an idea to be remembered! Thanks mate, I appreciate that :-) Funnily enough, I was thinking about doing some weathering, but wanted them all finished first so that I could do it consistently across the team. You’ve helped me to make up my mind ;-) Cheers dude! I like them. Can’t say that either look like mummy but they are cool. 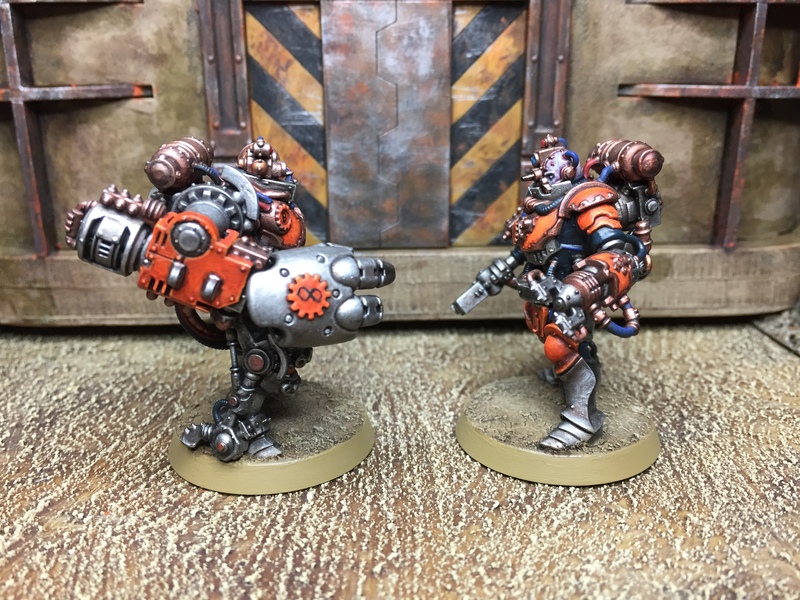 The Stormcastlegs, weird hip ring and ad mech aestetichs. All cool. I’ve only lately come to your blog via IRO (back-reading now) but i’ve been a long time BB fan and this team is quality. I’ve not seen anything like it and love it!